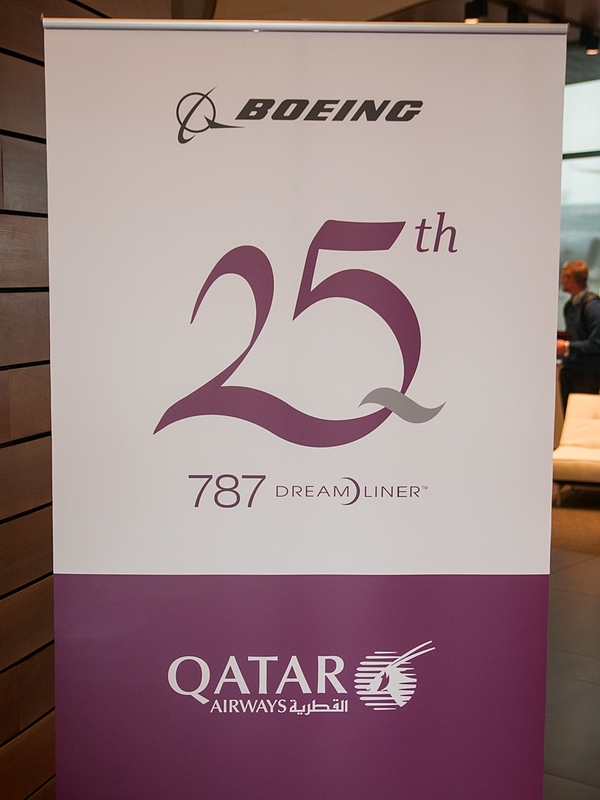 Tuesday November 4, 2015 was a special day for Qatar Airways. The Middle Eastern airline took delivery of their 24th and 25th Boeing 787-8 Dreamliners (A7-BCX and A7-BCY) at a ceremony held at the Boeing Delivery Center at Paine Field, Everett, Washington. NYCAviation.com was privileged to be part of the festivities that included a great deal more than just the delivery ceremonies. The day started with a briefing by Jim Haas, Boeing’s Director of Product Marketing, at the Boeing 787 and Boeing 777 production line facilities at the plant at Paine Field. 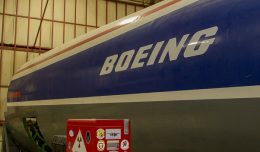 The briefing went into the details of the Boeing 787 product family and the status of the Boeing 787-10 aircraft as well as an update on the status of the Boeing 777X products. 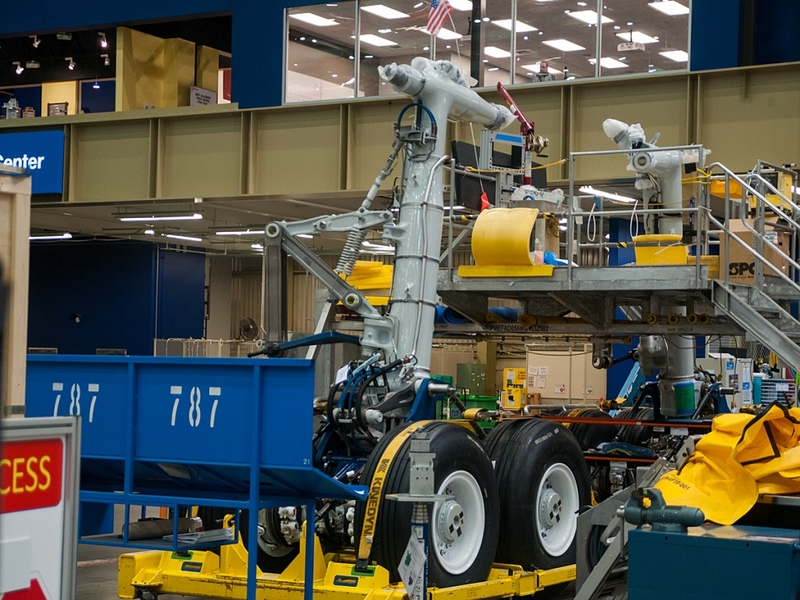 Following this, media were allowed to participate on a tour of the Everett production lines for the Boeing 787 and Boeing 777 aircraft. Following the morning events at the production facilities, the attending media were transferred to the Everett Delivery Center. There, the two aircraft were handed over by Ray Connor, CEO of Boeing Commercial Aircraft and other executives of Boeing Commercial Aircraft to His Excellency Mr. Akbar Al Baker of Qatar Airways and members of the Qatar Airways organization. 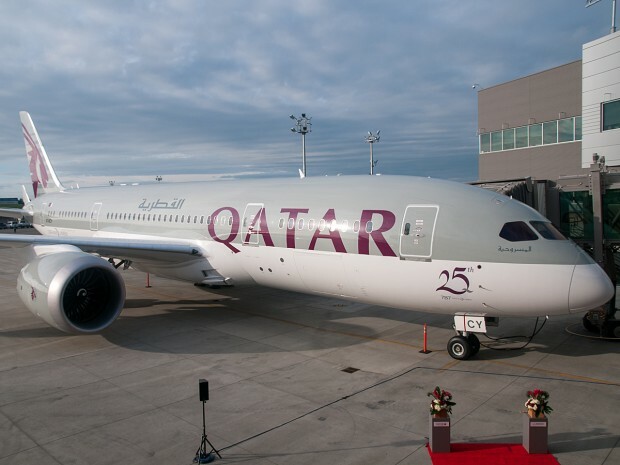 In comments made during the acceptance ceremony, Mr. Al Baker said he was very pleased in the way that the program has progressed over the years since Qatar Airways had been the Middle East delivery customer for the Dreamliner. He noted that at the beginning of the program, there had been issues with the program that at times caused a possible cancellation of the orders. 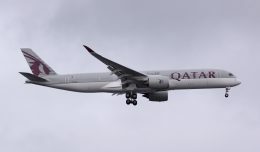 Once those initial hurdles had been overcome, however, Qatar Airways had been very happy with their Dreamliners. He also alluded to possible confirmations of converting the options on 30 Boeing 787-8s to the Boeing 787-9 in the future. In his comments, Mr. Connor was very proud of the partnership between Boeing Commercial Aircraft and Qatar Airways. Following the signing of the acceptance documents, and the presentation of the 25th Dreamliner with its special decal to commemorate the delivery, the media was entertained in the Business Class section of the 25th Dreamliner by Mr. Al Baker for a spirited question and answer session. One of the first questions posed to Mr. Al Baker, referenced comments made by Richard Anderson, CEO of Delta Airlines in the ongoing feud between the two carriers. 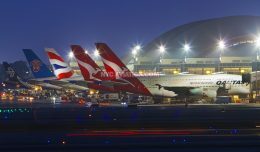 Mr. Al Baker was very critical of the comments made by Mr. Anderson, alluding to the record profits made by Delta Airlines and his feeling that the customers of Qatar Airways benefit from the newer technology aircraft and service provided by the airline. He was also personally critical of Mr. Anderson, suggesting that “he had lost the plot” and also adding that “he is getting close to retirement age so I would take whatever he says with a pinch of salt”. 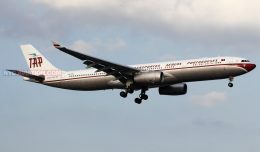 In replying to a question addressing the consolidations that had occurred in the industry in recent time, Mr. Al Baker reiterated, “As far as the Middle East is concerned, we will stay” also adding “Don’t ever imagine that Qatar Airways will be renamed something else.” Mr. Al Baker added that in the future, there will be acquisitions of other airlines in order to improve them. With regards to future expansion in the USA by Qatar Airways, Mr. Al Baker noted “We have an Open Skies Agreement with the US.” He added, “We will grow in the United States, every opportunity we get to grow”. On the subject of a Premium Economy cabin on Qatar Airways, Mr. Al Baker was very adamant that this will not happen, stating “I don’t think there is any room for Premium Economy in our region”, adding “We give you a premium economy seat at an economy price, so passengers are very satisfied”. With regards to the future of the Boeing 777 fleet as far as interiors are concerned, Mr. Al Baker stated they are working on a new business class product that “will be a huge game changer in the industry.” He also added that the new product, “will be patented so that our competition will not be able to take the ideas and copy the product.” This new product will also be used on other aircraft in the fleet, including the Boeing 787 Dreamliners. The new interior product will be introduced at the Farnborough Air Show in 2016. Of interest is the continuous monitoring of all Qatar Airways flights by their Operation Control Center in Doha, where all aircraft send data every 5 seconds back to the center and every 15 seconds, the data is mapped. Any diversion or deviation of flight plan must be explained to the Operations Control Center. Ray Connor added the Boeing also continuously monitors all Boeing 787 data, and they also have a staff member that sits in the Qatar Operation Control Center to provide assistance. Mark Lawrence is a NYCAviation staff member and a south Florida-based aviation fanatic. He has been around the industry since he was a small boy. As well as being an avid photographer, he also runs his own blog. Follow him on Twitter. 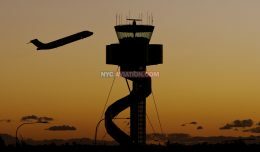 This week for Friday Photos, we take a look at several of our favorite uploads the the NYCAviation Photo Hangar from the past few weeks. As part of a simmering political conflict, Saudi Arabia, Bahrain, the UAE, and Egypt have severed ties with Qatar, disrupting the region's aviation industry.